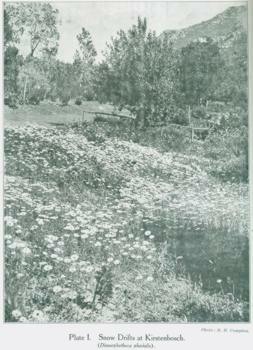 Spring has always been celebrated at Kirstenbosch with sheets of annuals as can be seen from this early photograph of the garden taken by Prof. Robert Harold Compton in 1925 and published in the Botanical Society Journal. In these early decades considerable emphasis was given to the cultivation of economic plants, both for research, but also to raise funds. Chestnuts, pecans, macadamias, cork oaks, olives, castor oil plants were all planted. Buchu and aromatic oils in particular were cultivated in the 1920s and later. The government grant to Kirstenbosch was never sufficient and other means of funding were sought. Acorns (to feed pigs) and wood were sold. 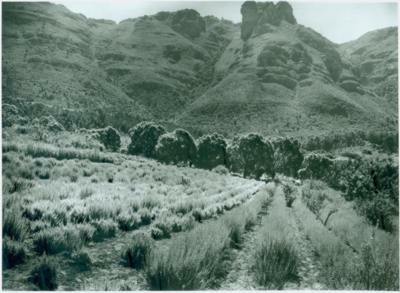 Extra growing space was provided at Vergelegen by Sir Lionel Phillips for cultivating plants for essential oils and an experimental still was acquired. For various reasons, economic botany was not a success at Kirstenbosch and in later decades it fell away. Prof. Compton was the new director (appointed 1919) and he was to guide Kirstenbosch through several decades. 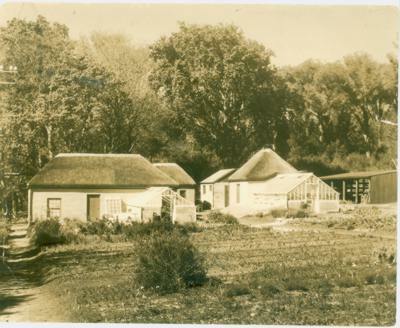 He energetically motivated for funds for many landmark buildings in this decade, including what in later years became known as the Compton Herbarium and now houses the Kirstenbosch Garden administration offices; a Tea House(1924) on the site of the old farmhouse, a house for the curator (1927) and the Harold Pearson Memorial Hostel (1925- currently SANBI’s regional head office). The nursery was moved from the Dell in the middle of the decade and various new nursery offices (no longer standing) were also built. Another highlight of this decade was the establishment of the Karoo National Botanical Garden at Whitehall near Matjiesfontein in 1921. For various reasons this moved to Worcester in the mid 1940s. 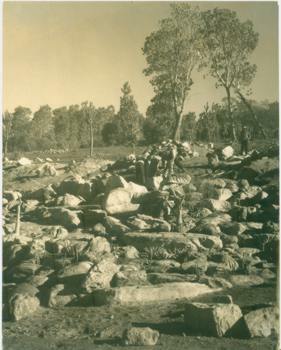 At Kirstenbosch, continuing attention was paid to developing roads and paths and other items of infrastructure; the stone and gravel, being sourced on site. Drainage proved a problem with heavy rainfall and when streams flooded in winter. Stream banks required stabilisation and drains and bridges were built. Many paths were cobbled or paved and the first section of Mathews Rockery was built between 1922 and 1929 with stones laboriously carted in. The sundial, still a feature of the garden, was presented in 1920 by Dr J K Halm. 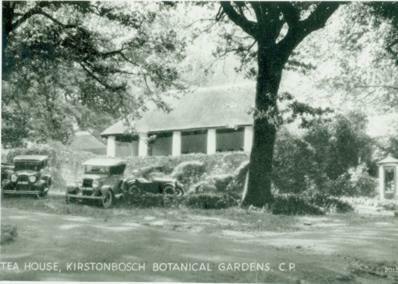 In the early decades members of the Botanical Society and the public were encouraged to donate plant material to the Garden, although Kirstenbosch staff would also go on plant collecting trips. In 1927 a rail expedition to present day Namibia was undertaken for the purpose of gathering succulents. The same year it is recorded that 2 841 plants were added to the collection and the garden received 62 383 visitors.